What we don't know is how this feature will fully come into play during co-op sessions. Will both players be able to access to these building segments at the same time (helping on another to complete them), or only on whoever interacts with them first? From the video, it does look like co-op players will need to work together in building these objects separately, to complete puzzles and such through story mode. There are so many questions we have, but thankfully we won't have too much longer to wait to try out the game ourselves this Spring. 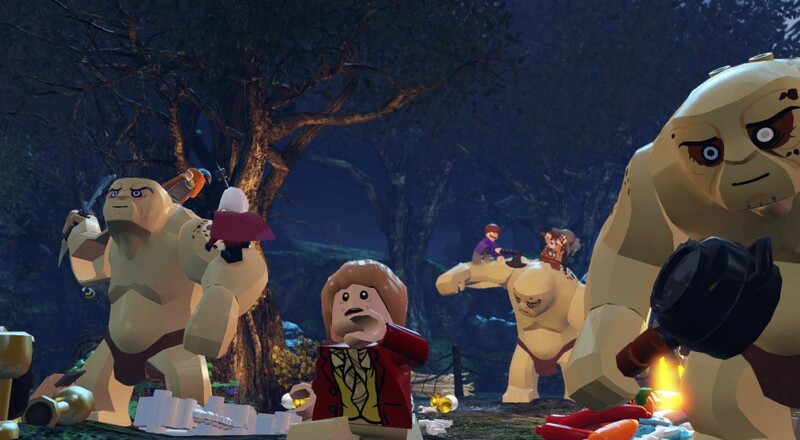 LEGO: The Hobbit will arrive on virtually all major platforms and contains a 2-player local, split-screen co-op mode. This game will encompass only the two The Hobbit movies currently released, followed by the final film's own version sometime in the future.